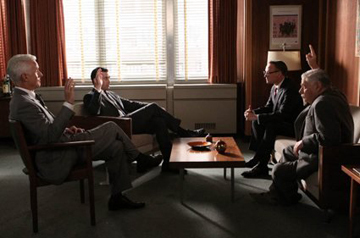 AMC's acclaimed TV drama placed a heavy focus on Don Draper and his home life this season, neglecting many viewers of the goings on inside the walls of Sterling Cooper. Though not necessarily a bad thing, it did limit the personal growth of most other primary characters. Even so, the season ended with a profound change that may forever alter the series' structure we've grown accustomed to over the past three seasons. How well do you know Mad Men: Season Three?